DALLAS, TX, Oct. 01, 2018 (GLOBE NEWSWIRE) -- via NEWMEDIAWIRE - Zenergy Brands, Inc. (OTCQB: ZNGY), the nation's leading next-generation utility, announced today that it has finalized the name change of its newly-acquired Texas-based Retail Electric Provider from Enertrade Electric, LLC DBA Shyne Energy to Zenergy Power & Gas, Inc. with the Public Utility Commission of Texas (PUCT). The Company first announced this strategic acquisition in April 2018 after a full year of negotiations working to execute the transaction. 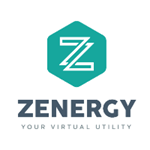 The name change comes just months later and is merely the first step in Zenergy’s long-term mission to converge the sectors of smart home controls/building automation systems, energy conservation/efficiency services, and retail electricity and natural gas under the Company’s “virtual utility” brand. The Company plans to combine its retail energy and smart home products & services into its offering to residential customers by integrating its controls capabilities with a variety of smart energy products, including the control and automation of lights, locks and thermostats in residential customers’ homes that would enable them to manage and reduce their monthly utility consumption more responsibly. The Texas deregulated electricity market encompasses over six million residential meters and nearly two million commercial meters. Zenergy’s strategy as a retail energy provider is to create a beachhead in Texas and then expand to other deregulated markets across the nation. The Company believes that, the Texas market provides a mature and open retail framework as well as flexible wholesale framework, thus creating the opportunity for innovative energy programs such as Zenergy’s to come into fruition. These anticipated services include, but are not limited to, time of use service offerings, conservation program service offerings, micro-grid technology service offerings, and demand response-programs en masse.